The L.B. 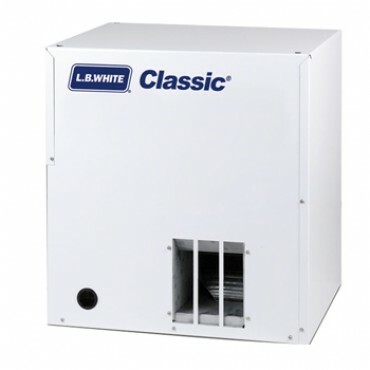 White Classic® forced air heater is a reliable pilot light ignition design that pig producers have relied on for over 40 years. Classic forced air heaters with pilot ignition can be used in all swine production environments and phases including gestation, nursery and wean-to-finish. Consumption CFM Dimensions Net Wt. Shipping Wt. *Oversized Item: Shipping calculated at checkout is an estimate only. You will be contacted with an accurate shipping amount before we process your order.